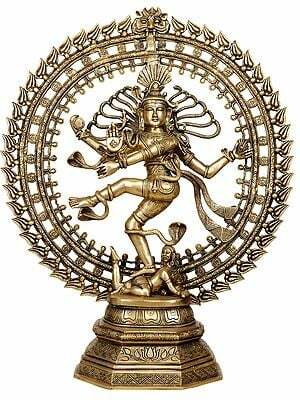 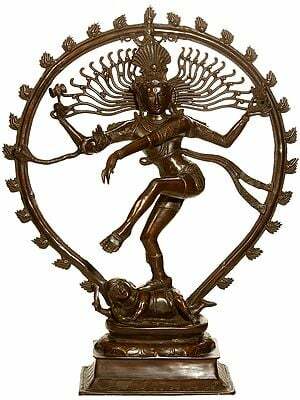 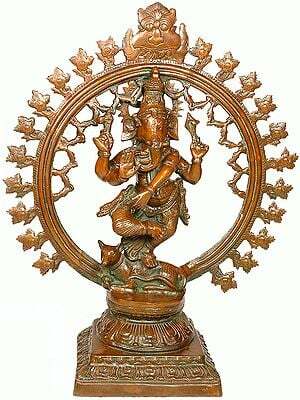 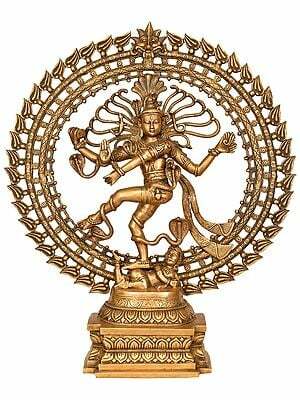 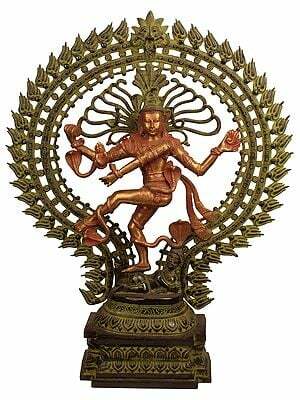 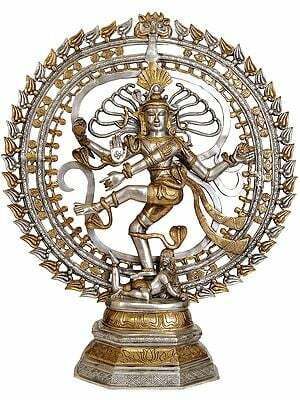 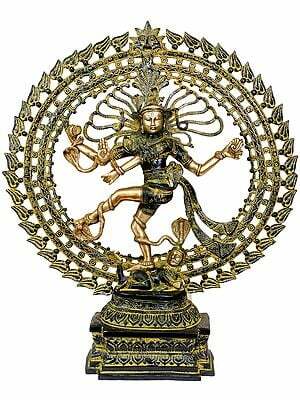 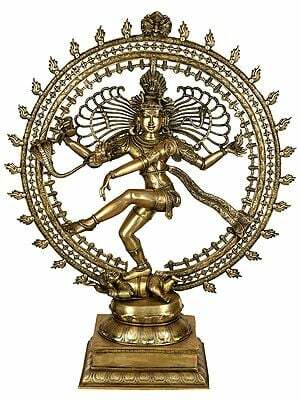 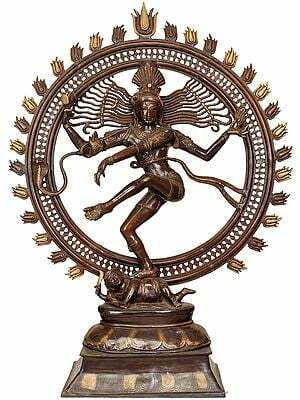 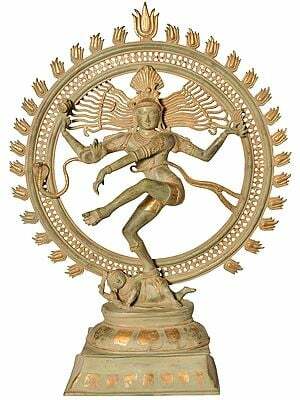 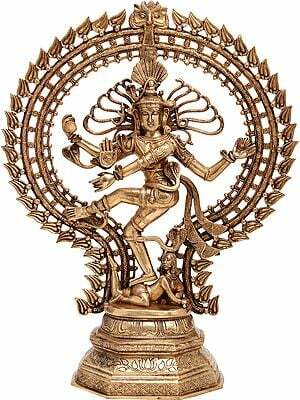 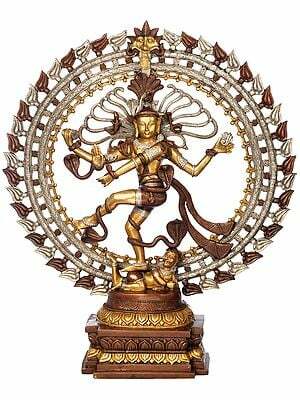 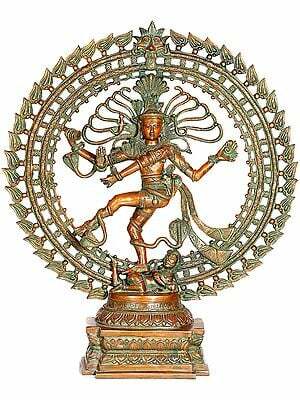 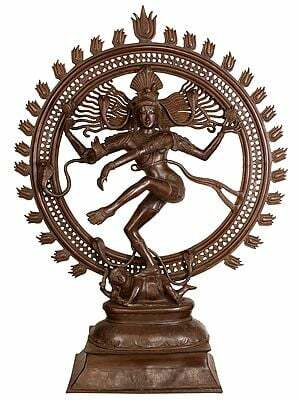 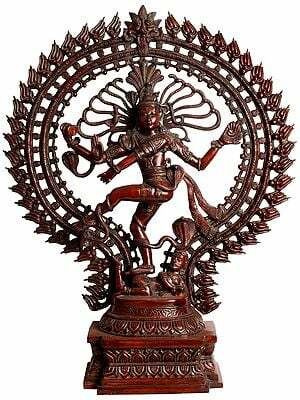 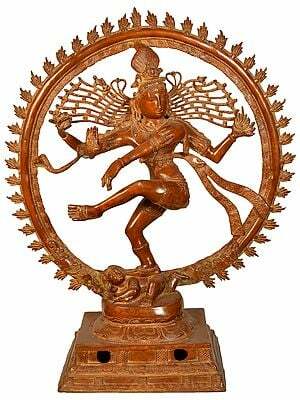 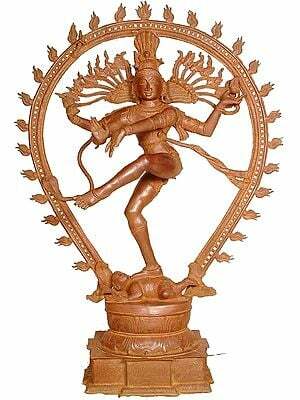 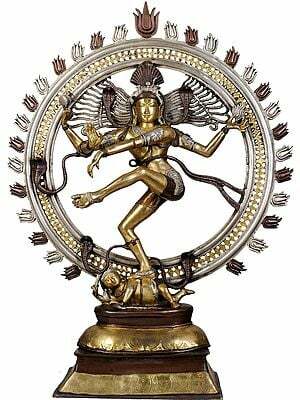 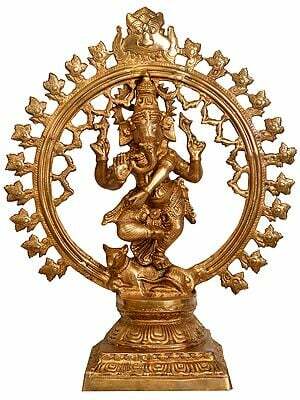 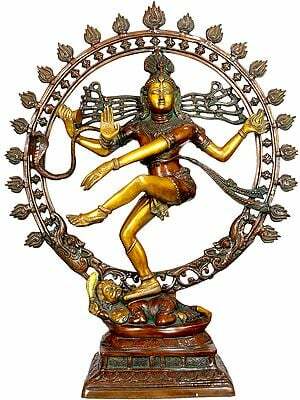 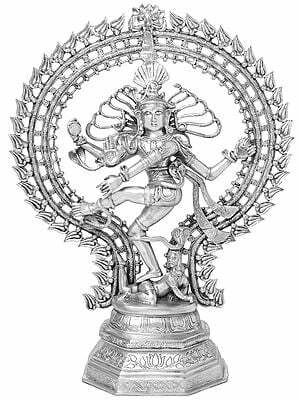 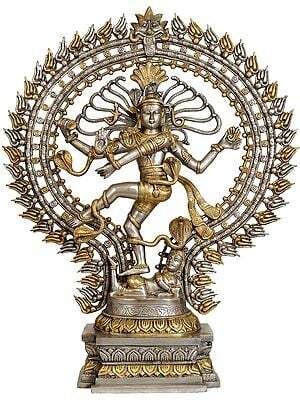 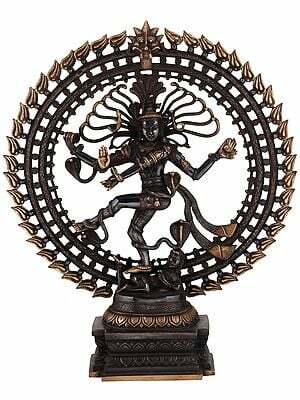 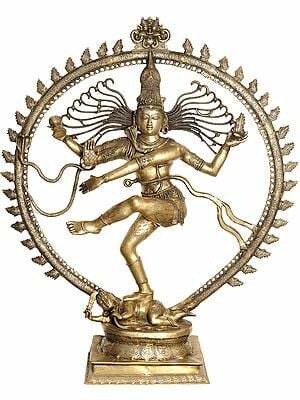 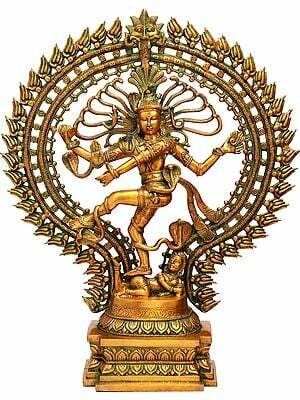 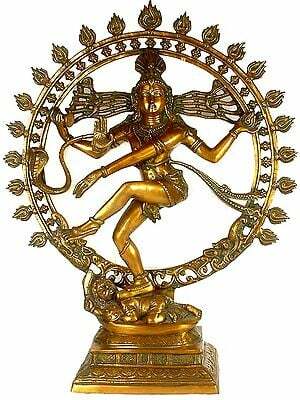 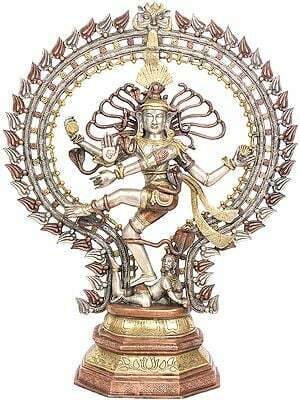 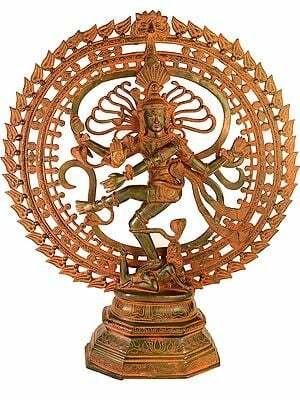 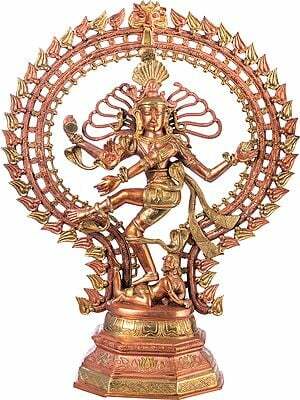 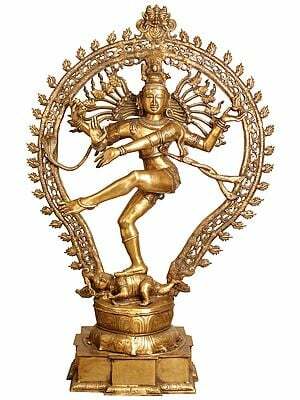 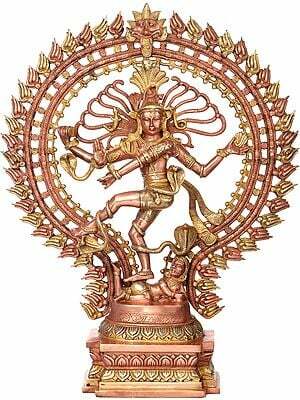 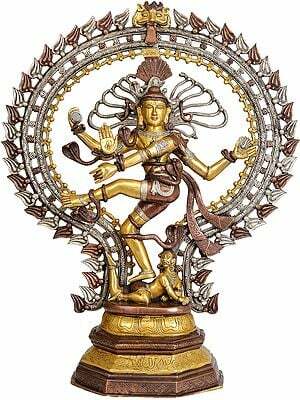 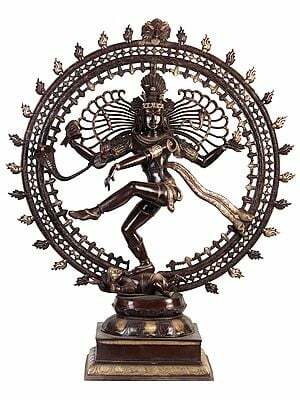 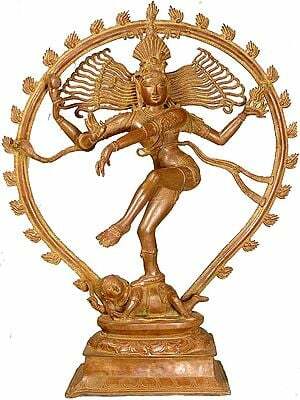 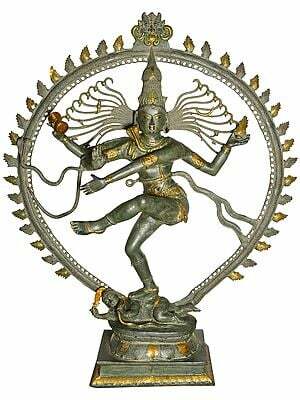 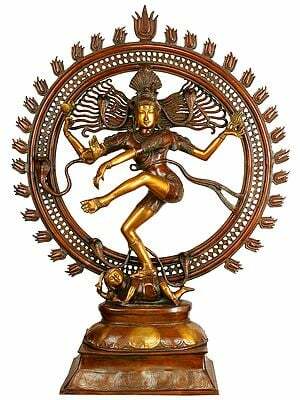 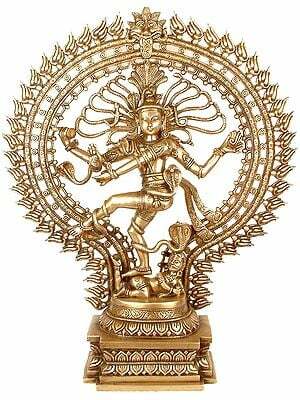 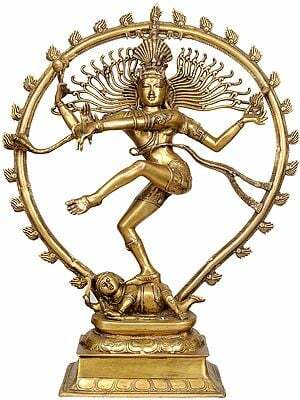 The Nataraja is a single, powerful image that captures the heart and soul of Indian culture. 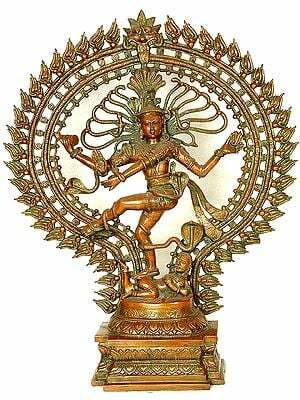 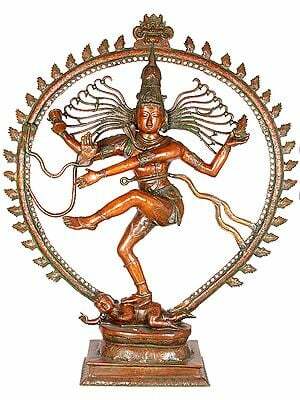 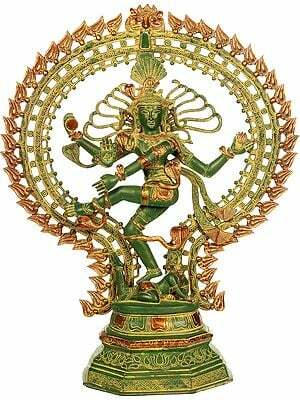 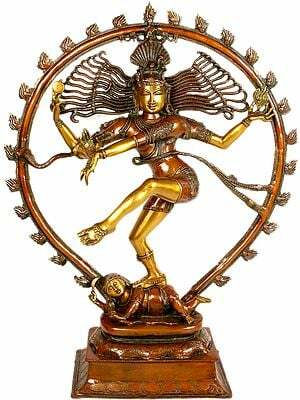 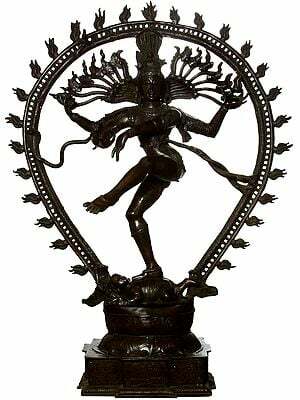 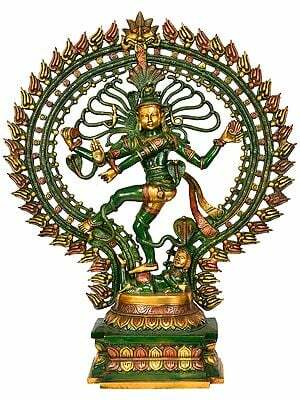 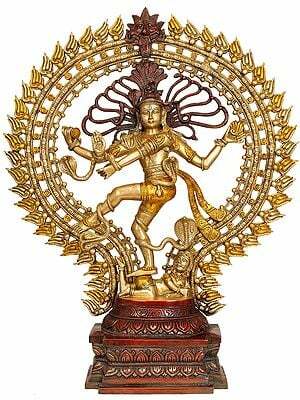 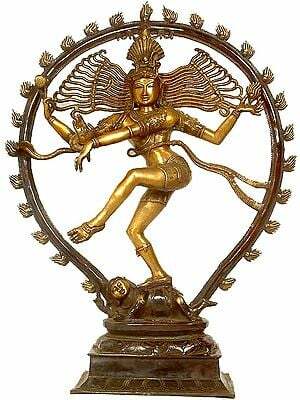 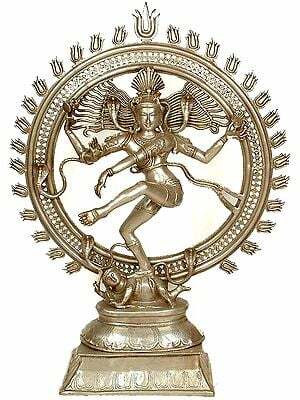 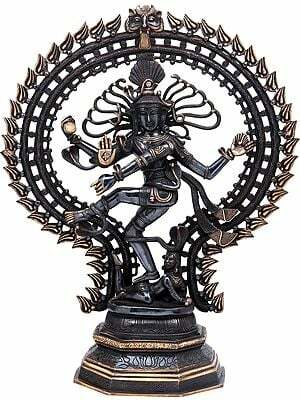 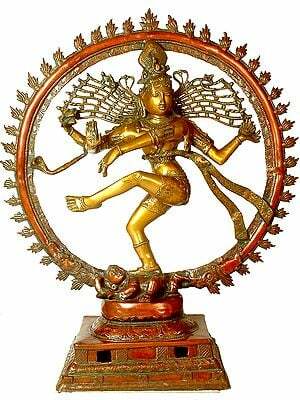 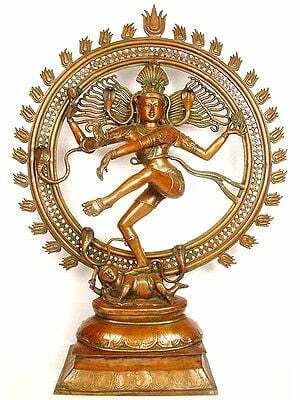 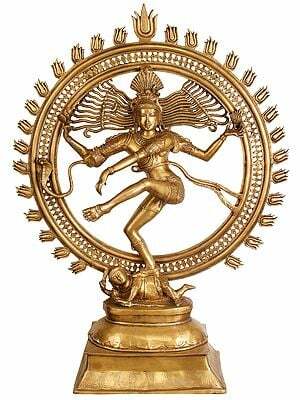 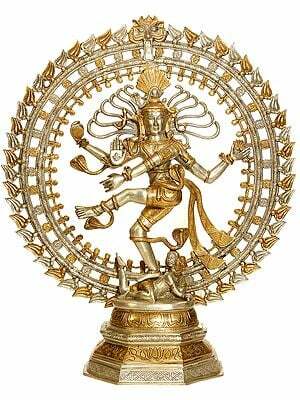 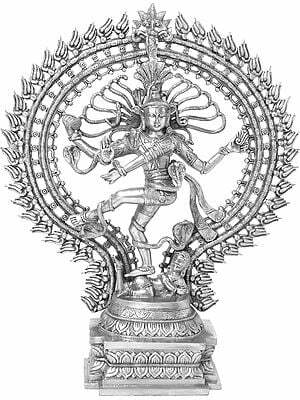 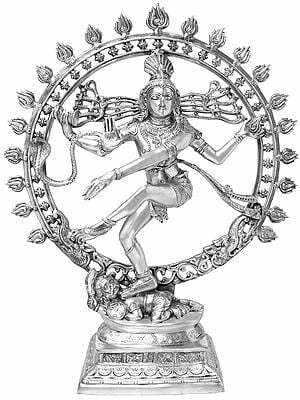 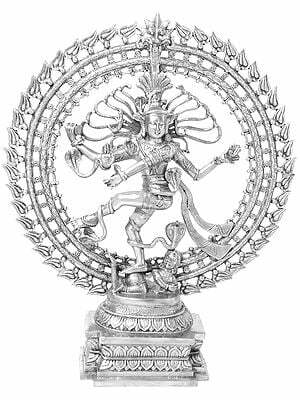 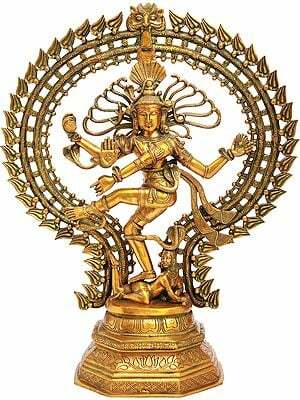 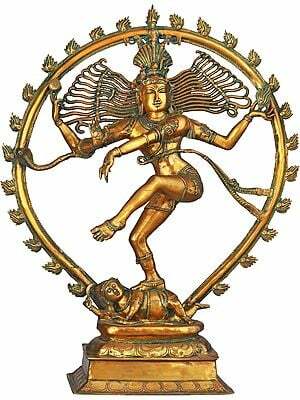 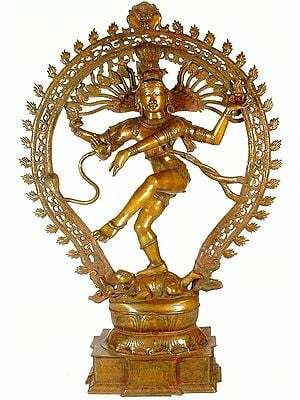 Nataraja means 'lord of the performing arts' (nat is Sanskrit for performing arts, and raja is for lord), and it stands for the facet of Shivaji that breaks into tandava (Sanskrit word meaning the dance that represents the universe in all its diversity). 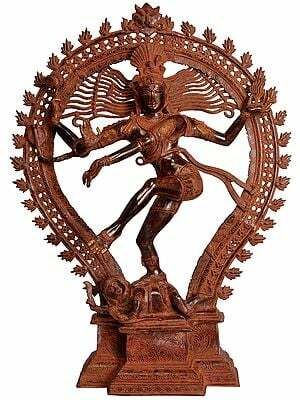 The performing arts is expounded in the shastras as one of the mahavidyas, of which Shivaji is the greatest exponent. 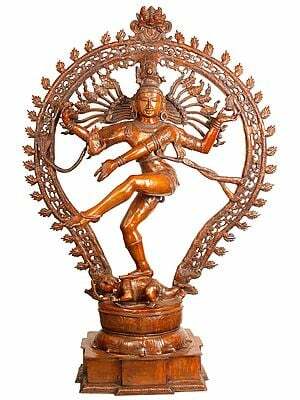 The quintessential Nataraja figurine comprises of a lissome Shivaji, His limbs caught in the motion of His divine dance routine. His anterior hands are brought together in a complex mudra - the left palm turned inward symbolises subjugation of one's earthly self, above which the right palm turned outward symbolises abhaya (fearlessness). 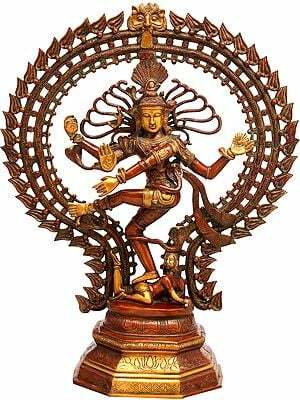 The posterior arms raised in great symmetry to each other hold a damru, whose nad ('sound') inspires the creative process, and a flame, which facilitates the destructive process. 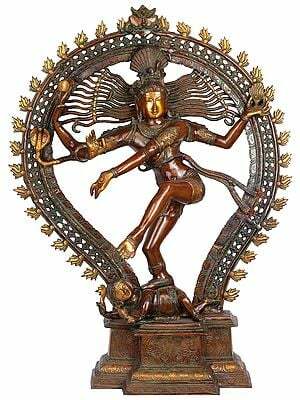 These two elements together stand for the cyclical nature of existence as we experience it, and are deeply rooted characteristics of Shivaji's iconography, Nataraja-roop and otherwise. 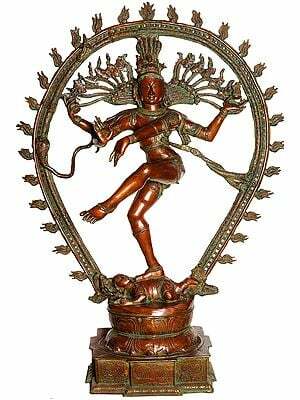 With one leg raised high in the air, the other is balanced on the toes atop the prostrated figure of the apasamara-purusa, a potent image of worldly ignorance triumphed over by Shivaji's tandava. 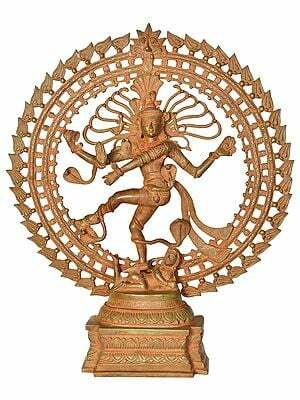 Exotic India's Natarajas come in a wide variety of make and finish. 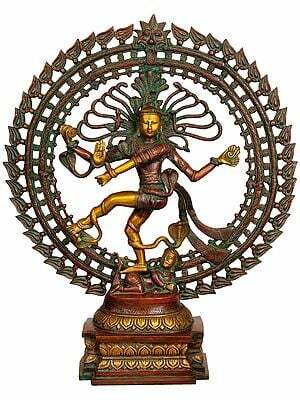 From brassworks in unusual colours and inlays, to exquisite bronze sculptures from the recesses of South India. 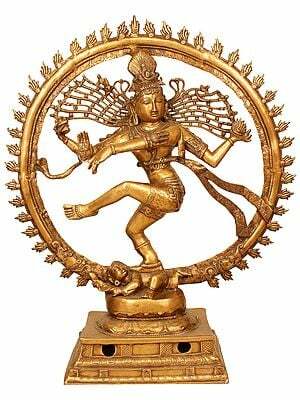 Each of our Natarajas is a work that speaks volumes about endemic Indian artisanry and our spiritual heritage. 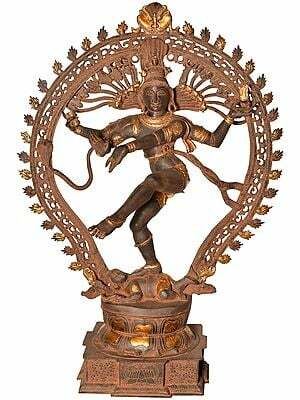 A single glance at one of our Natarajas - His limbs caught right in the middle of sacred motion, His tresses defying gravity, the lifelike musculature of His supple form - overpowers the heart with inspiration.